Photo: Gymnast performs a flip on the floor apparatus. Gymnastics have been a part of every modern Olympic competition. Today, there are three disciplines: artistic, rhythmic, and trampoline. 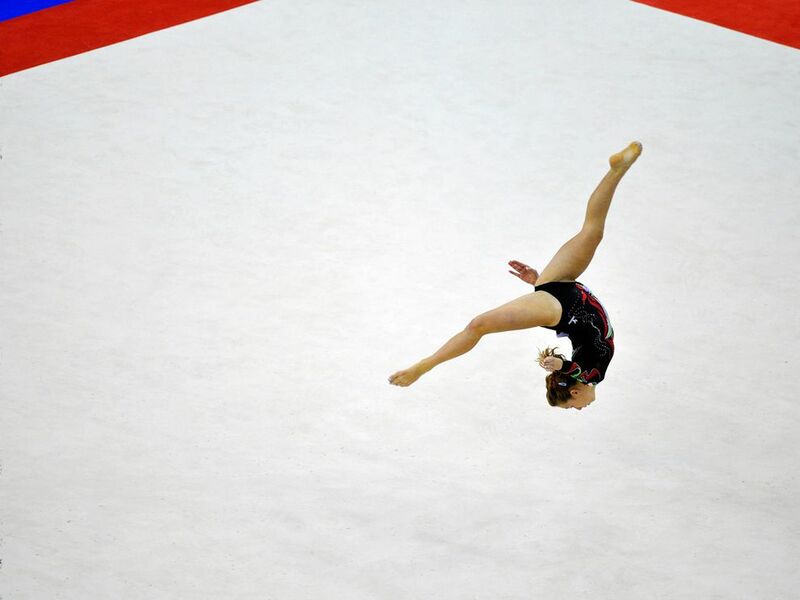 Artistic gymnasts perform routines on different apparatuses (including the floor, above). Rhythmic gymnasts perform floor routines with hand-held apparatuses, such as a ribbon or hoop. Trampolinists perform routines judged by difficulty, technique, and flight time. On August 14, 2010, the first Youth Olympic Games were held in Singapore. What are the Summer Olympics? 17 Days, 26 Sports, 200 Countries and 10,000 Athletes.